It's too bad FX's The Americans was completely snubbed at the Emmys this year (all but Margo Martindale anyway), because I still have it down as one of the best new shows of 2013, and if there's only room for one spy thriller at awards shows, I'd choose this over Homeland, especially this season. Set in 1981, at the beginning of Reagan's presidency and escalating tensions between the U.S. and Soviet Union, two Russian spies are hiding out in plain sight, as ordinary Americans who've been undercover for almost twenty years. 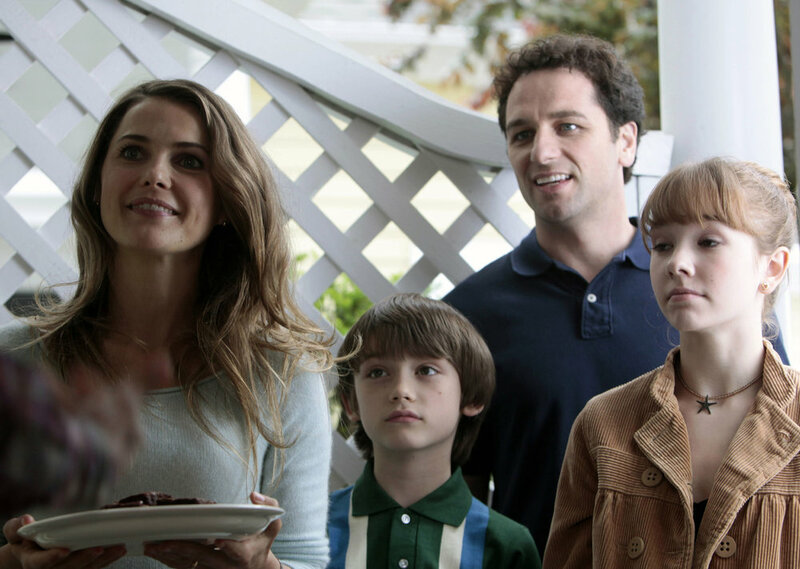 They are Phil and Elizabeth Jennings, a married couple with two children, and they're played by Keri Russell and Matthew Rhys, who give two incredibly nuanced and sensitive performances- I immediately warmed to both of them from the pilot episode. Rhys is the softer one, at the beginning of the season he even considers defecting to the U.S., and he's the one who harbors feelings for his wife, even though their marriage was arranged by the state and she's never fully returned his affection. Elizabeth is still 100% loyal to "Mother Russia" and is a very icy and hard hearted spy who doesn't waver in her determination or her hatred of Americans. I wasn't expecting Keri Russell to be able to pull of that kind of hard edged bent, and was very surprised that she in fact did- she's an effective and cold antiheroine, one of the few on TV. Although in her cover role as an ordinary American, mother and neighbor, she's even more effective at conveying the sort of kindly, sweet qualities I've associated with her ever since her days on Felicity, and that all comes together to let us believe her as the kind of spy that can fool people in an instant. 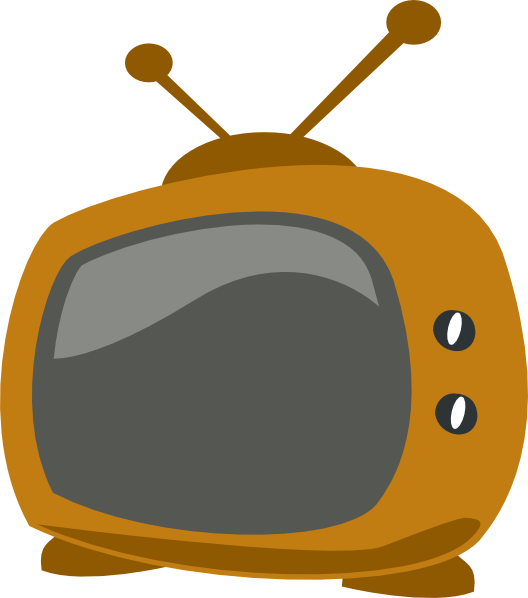 The show alternates between focusing on the real or not marriage between Phil and Elizabeth, and the missions they're instructed to pull off by their Russian contact, played with steely eyed determination by Justified's Margo Martindale. There's occasional focus on the events of the time period, but nothing that strains real history as it took place. 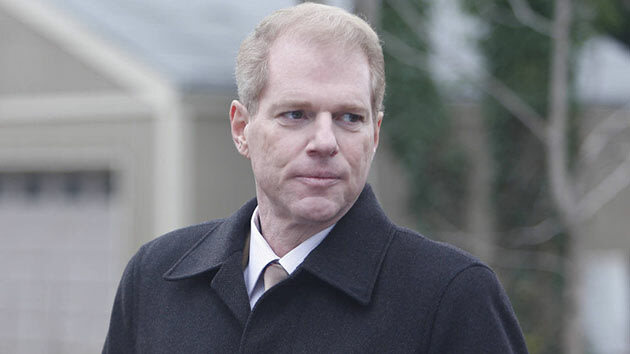 Their neighbor across the street is FBI agent Stan Beeman, whose job it is to suss out Soviet spies living among us (convenient coincidence, but necessary for dramatic purposes), and he's played by Noah Emmerich, who gives an outstanding performance here as a high level bureaucrat with secrets and troubles of his own, which slowly come to fruition over the course of the season. It can occasionally feel like a separate show with the focus split between Stan's activities and those of our two leads, but both are equally compelling, thanks to some great acting from Emmerich, and most surprisingly, unknown actress Annet Mahendru, playing Nina, Stan's Soviet mole inside the KGB. The show takes its time to develop and explore relationships between characters, often foregoing big plot developments to focus more on smaller, intimate moments. There's an ongoing story developing here (it's not at all a procedural), but it seems to be playing out on a larger scale, trusting the audience to stay with it, even into the next season, as some plot threads are left hanging and cliffhangers you may have expected to be set up aren't. That's not to say that there's no action- there is in fact, plenty, but in contrast to a show like Homeland, not everything pays off in the first season, but promises to keep going, leaving the possibility for characters and storylines to become even more entangled as the series continues. Another tip the Homeland people can take note of is how to deal with the families of the spies- Phil and Elizabeth have two teenagers, and though the kids get enough screen time, they are decidedly not overly focused on at the expense of the more interesting adults and happily, not given the personality of a demon spawn that we wince at every time they show up (ok, ok, enough shots at Dana, no more, I promise). The show's not perfect- the relative quietness of the drama may bug some people who expect more from a spy thriller, and the various wigs and disguises the Jennings's don are a bit laughable at times- were people in the 80's really that gullible? But the show's look at a time and place in recent history is extremely intriguing, and with some really good acting that's a lot better and more emotionally subtle than some of the stuff that was just nominated on House of Cards (ahem, Kevin Spacey and Robin Wright stole Russell and Rhy's slots, in my opinion), I recommend checking out The Americans for sure. July 30, 2013 by Ariel Shavonne.